Small and medium-sized businesses (SMBs) face many operating challenges, with human resources issues at the forefront. Remaining compliant with myriad federal, state, and local law requirements takes a concentrated focus. Plus, there are more resources available for employees today from various government regulatory agencies, ranging from overtime calculators and leave of absence eligibility assistance to discrimination and safety information that includes support for filing employee claims. SMBs face a special challenge. They need to be prepared and establish their processes to get it right and mitigate potential claims. But they often don’t have a dedicated HR staff or other resources that larger businesses may possess to keep them on top of the ever-changing employment landscape. SMBs … need to be prepared and establish their processes to get it right and mitigate potential claims. But they often don’t have a dedicated HR staff or other resources that larger businesses may possess to keep them on top of the ever-changing employment landscape. Whom do they turn to for answers? Often it is you—their trusted insurance advisor. By understanding the challenges that client businesses face, you can better help them respond. We’ll look at a couple of major HR issues this month—along with tips to help your clients manage them—and a few more in October. Having the right human resources infrastructure in place to keep the company on track, creating a diverse and engaged team, and cultivating a culture that the team is proud to identify with are key ingredients for your clients’ success. The employment landscape seems to grow in complexity each day, with new employment laws, regulations, and requirements for employers. Employers of all sizes are vulnerable to fines and penalties for non-compliance with HR and employment laws, rules, and regulations. With employment lawsuits on the rise and compensatory awards nearing $500,000, non-compliance is expensive. Create an employee handbook that includes applicable company, state, and federal policies and sets the tone for the culture of the organization. Maintain an updated compliance calendar that includes all posting, notification, and filing deadlines. Ensure that payroll and benefits tracking systems are in place and properly recording (and reporting) work hours, time off, and other employee payments and deductions. 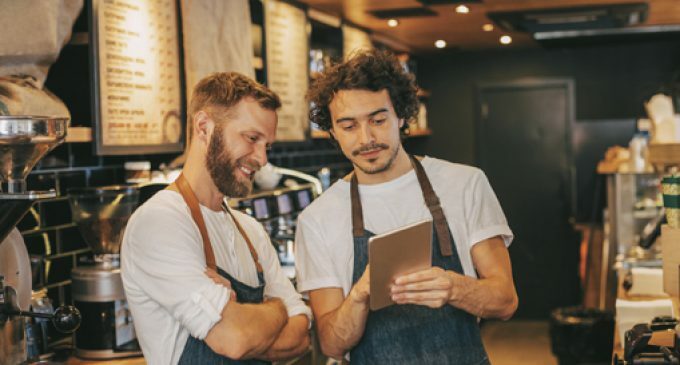 Train supervisors on nondiscrimination practices, proper time tracking, and other employment policies affecting your business. Ensure that all safety practices and procedures are designed to prevent workplace accidents and injuries. Some 57% of SMBs plan to hire one to five employees this year; 39% plan to hire six or more employees. These numbers represent significant hiring activity even without accounting for large businesses. Including all hiring activity in your clients’ job markets, it means increased competition for the best employees and pressure to get hiring right because getting it wrong can be costly. Although there are conflicting viewpoints on the cost of a bad hire, there are certain tangible costs associated with recruiting that everyone can agree on. These costs include: job placement ads on sites such as Monster, LinkedIn, Craigslist, and others; hiring recruiters; managing internal recruiting and hiring processes; and the time to select the right hires. Another factor that businesses of all sizes face is the increasing skills gap left by retiring Baby Boomers. According to some reports, Boomers are retiring at a rate of 10,000 per day, leaving a gap in the workforce that will be challenging to fill. Hiring the right employees is critical for your clients’ businesses—great employees represent the company brand well, drive productivity, and boost employee morale, translating into better customer service and more sales. Replacement costs for bad hires, coupled with the other damage they can do to the business, can be high. The right staffing and onboarding processes are critical to business success in the talent marketplace. Keep in mind that your clients are competing with other SMBs and larger organizations for talent. Any steps they can take to make the process easy for candidates and to make candidates feel valued throughout will strengthen their employment brand and lead to hiring success. The key is to focus on the candidate experience. Clearly define the specs of the job so that company hiring managers can describe the context and opportunity to candidates. Post jobs in a variety of job sites, using social media, online job boards, local schools, and community organizations to broaden the clients’ candidate reach. Have an easy to complete, online application and submittal process. Ensure that the entire process and the SMB website are mobile friendly. Over-communicate throughout the process so candidates know the timeline and where they are in the hiring process. Develop strong recruiter relationships (if needed). Develop a screening process that is applied consistently with all applicants to streamline the hiring process and reduce potential discrimination claims. Conduct background checks, drug tests, and verify employment eligibility. Ensure that all orientation processes, forms, and payroll/benefits/HR systems are set and ready for the new hire. Consider having employees complete some of the paperwork in advance of the first day so that they can immediately start training and get in the swing of the new job. Provide new employees with uniforms and other necessary company materials at their work stations so they are ready to go on their first day. When the new hire walks in and finds that everything is ready, it sends the message that this new hire is important to the business. It may seem small, but for many new hires, it’s the small stuff that can become the big welcome win. Focus on socialization and training, not just policy and procedure. As part of your regular client check-ins to ensure they are managing their business insurance risks, add discussion of these HR challenges and action items to the list. They’ll appreciate the extra concern and knowledge you can provide to help their businesses be more successful. And stop back next month, where we’ll address three more HR challenges: wage and hour issues, benefits, and employee management. ThinkHR partners with over 650 leading insurance brokers and payroll bureaus with an HR knowledge platform that enables their clients to obtain quick answers to urgent risk and liability questions, protecting clients from loss and legal action; stay informed on the correct responses and decisions for HR management and compliance matters; create web training programs to educate and develop employees in the areas of safety, management and wellness; and save time and money versus expensive alternate legal and HR resources.